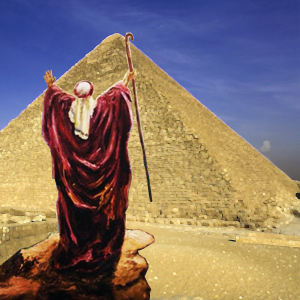 Pharaoh would not listen to Moses and Aaron because he did not know or respect God. People who do not know God may not listen to his word or his messengers. Like Moses and Aaron, we need to persist. When others reject you or your faith doesn’t be surprised or discouraged. Continue to tell them about God, trusting him to open minds and soften stubborn hearts. Moses and Aaron took their message to Pharaoh just as God directed. The unhappy result was harder work and more and more oppression for the Hebrews. Sometimes hardship comes as a result of obeying God. Are you following God but still suffering- or suffering even worse than before? If your life is miserable then don’t assume you have fallen out of God’s favor. You may be suffering for doing good in an evil world. 22 Then Moses turned again to the LORD and said, “O LORD, why have you mistreated this people? Why did you ever send me? 7 “You shall no longer give the people straw to make bricks, as before; let them go and gather straw for themselves. 10 So the taskmasters and the supervisors of the people went out and said to the people, “Thus says Pharaoh, ‘I will not give you straw. 12 So the people scattered throughout the land of Egypt, to gather stubble for straw. 15 Then the Israelite supervisors came to Pharaoh and cried, “Why do you treat your servants like this? 16 No straw is given to your servants, yet they say to us, ‘Make bricks!’ Look how your servants are beaten! 20 As they left Pharaoh, they came upon Moses and Aaron who were waiting to meet them. Moses’ reluctance and fear were caused by over anticipation. He was worried about how the people might respond to him. We often build up events in our minds and then panic over what might go wrong. God does not ask to go where he has not provided the means to help. Go where he leads trusting him to supply courage, confidence and resources at the right moment. 11 Then the LORD said to him, “Who gives speech to mortals? Who makes them mute or deaf, seeing or blind? Is it not I, the LORD? 22 Then you shall say to Pharaoh, ‘Thus says the LORD: Israel is my firstborn son. 31 The people believed; and when they heard that the LORD had given heed to the Israelites and that he had seen their misery, they bowed down and worshiped. 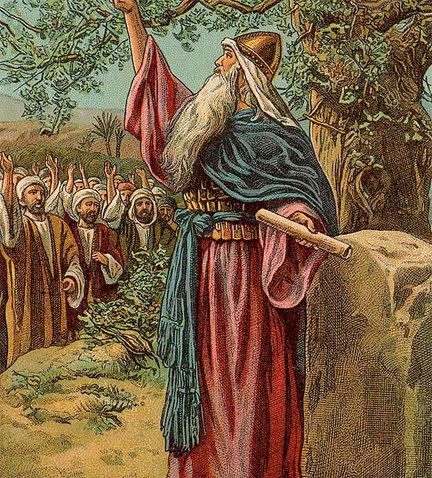 “Throw it on the ground.” So he threw the staff on the ground, and it became a snake; and Moses drew back from it. 6 Again, the LORD said to him, “Put your hand inside your cloak.” He put his hand into his cloak; and when he took it out, his hand was leprous, as white as snow. 8 “If they will not believe you or heed the first sign, they may believe the second sign. 14 Then the anger of the LORD was kindled against Moses and he said, “What of your brother Aaron the Levite? I know that he can speak fluently; even now he is coming out to meet you, and when he sees you his heart will be glad. 15 You shall speak to him and put the words in his mouth; and I will be with your mouth and with his mouth, and will teach you what you shall do. 16 He indeed shall speak for you to the people; he shall serve as a mouth for you, and you shall serve as God for him. 20 So Moses took his wife and his sons, put them on a donkey, and went back to the land of Egypt; and Moses carried the staff of God in his hand. 21 And the LORD said to Moses, “When you go back to Egypt, see that you perform before Pharaoh all the wonders that I have put in your power; but I will harden his heart, so that he will not let the people go. 24 On the way, at a place where they spent the night, the LORD met him and tried to kill him. 27 The LORD said to Aaron, “Go into the wilderness to meet Moses.” So he went; and he met him at the mountain of God and kissed him. 28 Moses told Aaron all the words of the LORD with which he had sent him, and all the signs with which he had charged him. 29 Then Moses and Aaron went and assembled all the elders of the Israelites. 30 Aaron spoke all the words that the LORD had spoken to Moses, and performed the signs in the sight of the people. 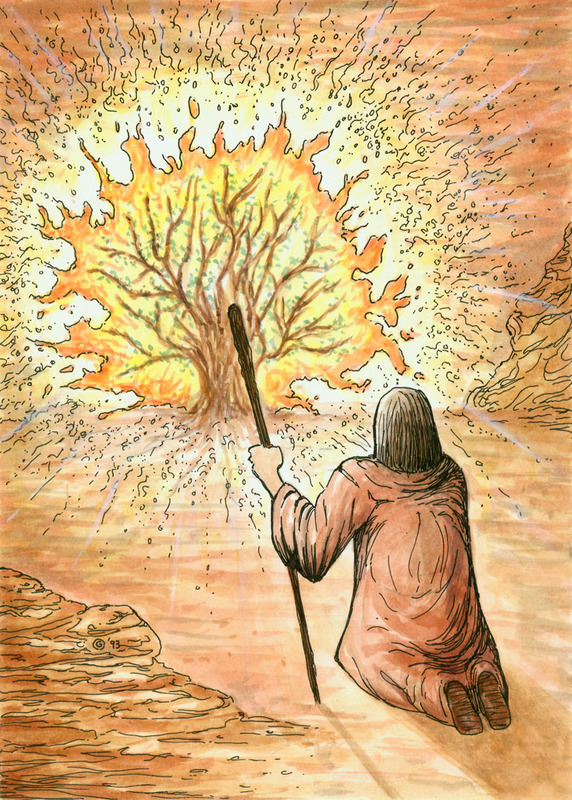 God spoke to Moses from an unexpected source: a burning bush. When Moses saw it, he went to investigate God may use unexpected sources when communicating to us too, whether people, thought or experiences. Be willing to investigate, and be open to God’s surprises. At God’s command, Moses removed his sandals and covered his face. Taking off his shoes was an act of reverence, conveying his own unworthiness before God. God is our friend, but he is also our sovereign Lord. To approach him frivolously shows a lack of respect and sincerity. When you come to God in worship, do you approach him casually or do you come as though you were an invited guest before a king? If necessary, adjust your attitude so it is suitable for approaching a holy God. 6 He said further, “I am the God of your father, the God of Abraham, the God of Isaac, and the God of Jacob.” And Moses hid his face, for he was afraid to look at God. 15 God also said to Moses, “Thus you shall say to the Israelites, ‘The LORD, the God of your ancestors, the God of Abraham, the God of Isaac, and the God of Jacob, has sent me to you’: This is my name forever, and this my title for all generations.